Home Google Update Local Search Search Engines Search Marketing SEO Social Media Do you have more amazing facts about Google? Fact #1: Believe it or not, the Google homepage is so bare mainly because Sergey Brin and Larry Page didn’t know HTML and just wanted a quick interface. Since then, Google has grown to be used by at least everyone on the planet, and processes around 20 petabytes of information on a daily basis. In the past 5 years, it has indexed over 50 billion web pages, and hosts over 620 million visitors a day. 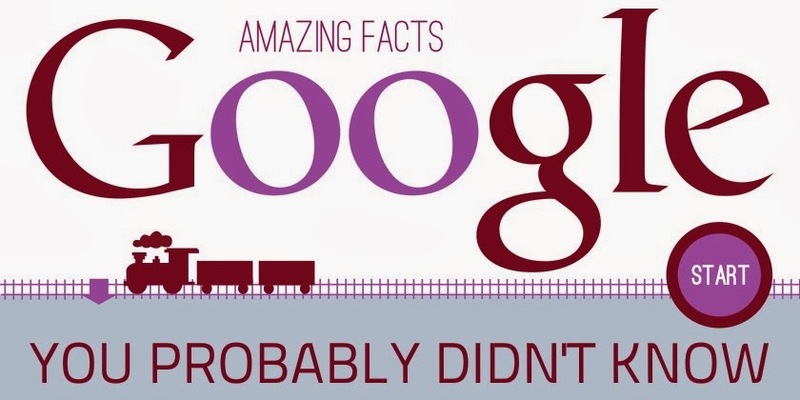 Do you have more amazing facts about Google? Share them in the comments.